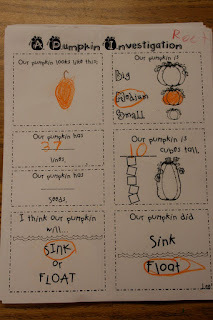 Blog Hoppin': Fun Pumpkin Ideas!! Fall. is. here. 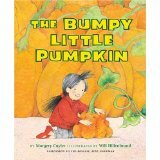 But, you wouldn't know it after the sunburn I got yesterday visiting the pumpkin patch!! 85 degrees doesn't say fall to me! 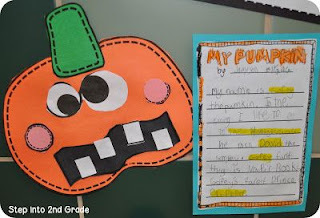 I wanted to share with you some of my favorite pumpkin themed activities, centers, and books. 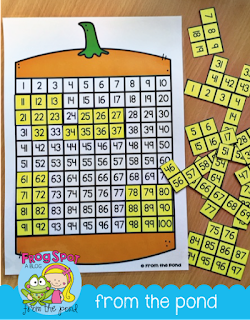 Hopefully you'll be able to use some of them in your own classroom. You can check out some fun Pumpkin Centers HERE in this post. 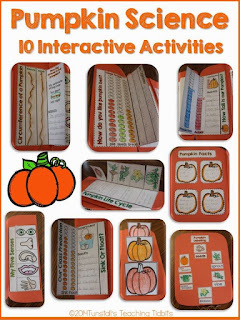 If you want to check out my Pumpkin Party Centers unit click HERE. 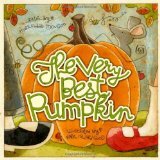 and cvc pumpkin puzzles! How fun! 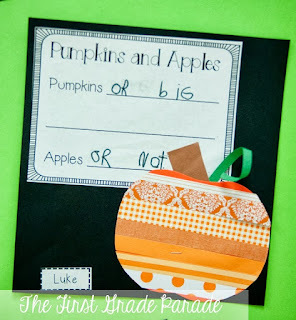 Don't forget to go check out my other pumpkin centers. 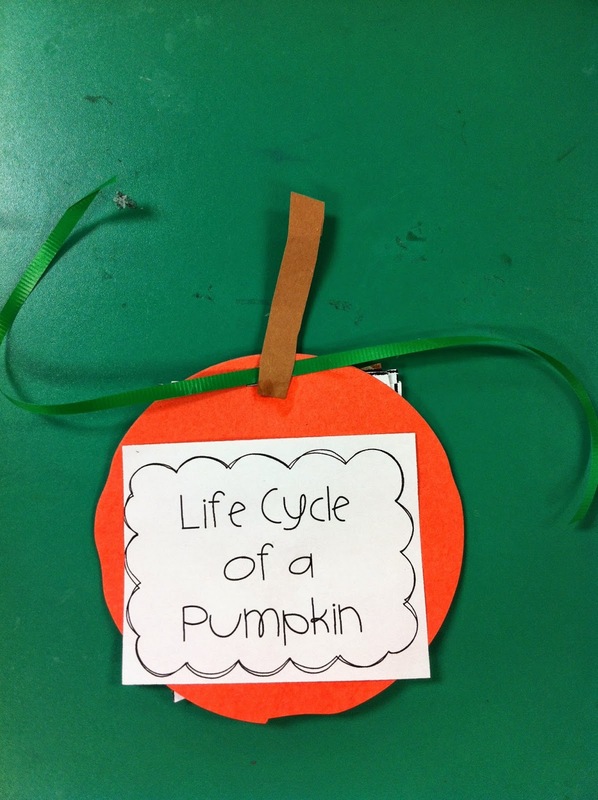 Here's a cute way to have your students make the life cycle of a pumpkin. 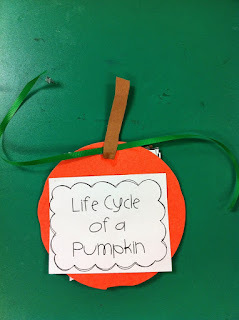 Just cut some circles and grab a life cycle sheet. 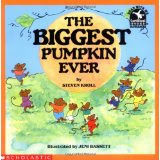 You probably have many of those in your pumpkin file already. Have your students order the cycle, staple behind the circle. Last, your students add a stem and some ribbon for the vine. 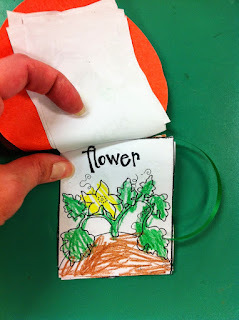 Click HERE for a life cycle FREEBIE. 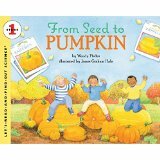 We made these little pumpkin friends last year and they turned out so goofy that you can't help but smile when you see them. 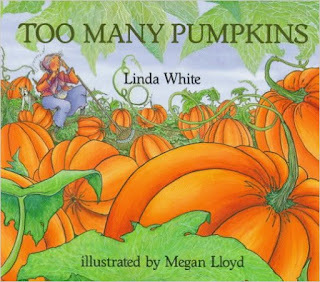 My favorite story about pumpkins is Too Many Pumpkins by Linda White. The vocabulary in that story is so rich and there's just so many directions you can go with it! 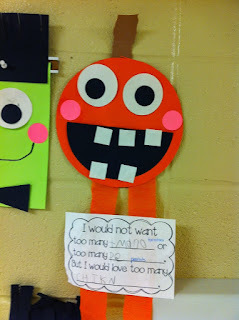 We wrote about what we would like "too many of" and what we wouldn't want "too many of". 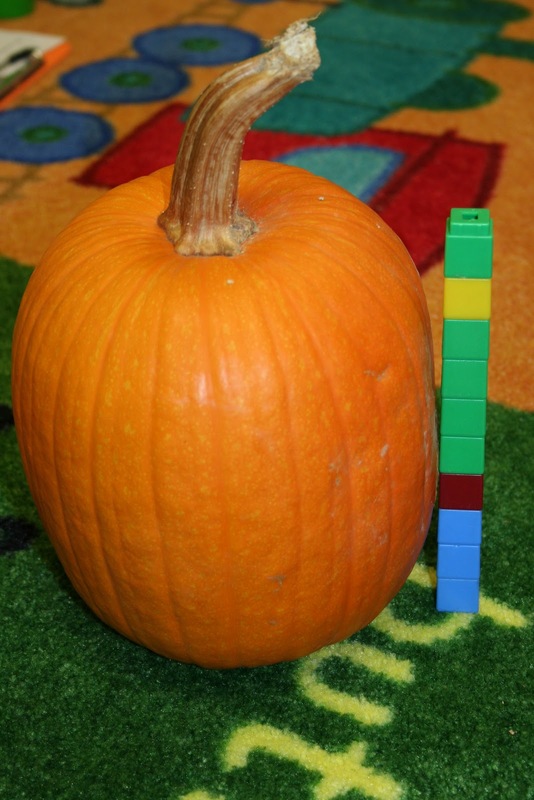 I love doing this pumpkin investigation with my kiddos each year after we visit the pumpkin patch. You can find this FREEBIE HERE in my store. Here's some other fun ideas I've found while scouring the internet. I've linked where I found them! 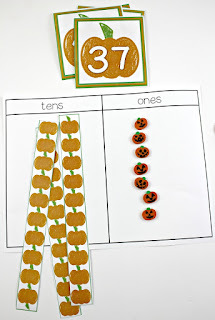 I love this tens and ones idea from Reagan using fun pumpkin themed erasers! 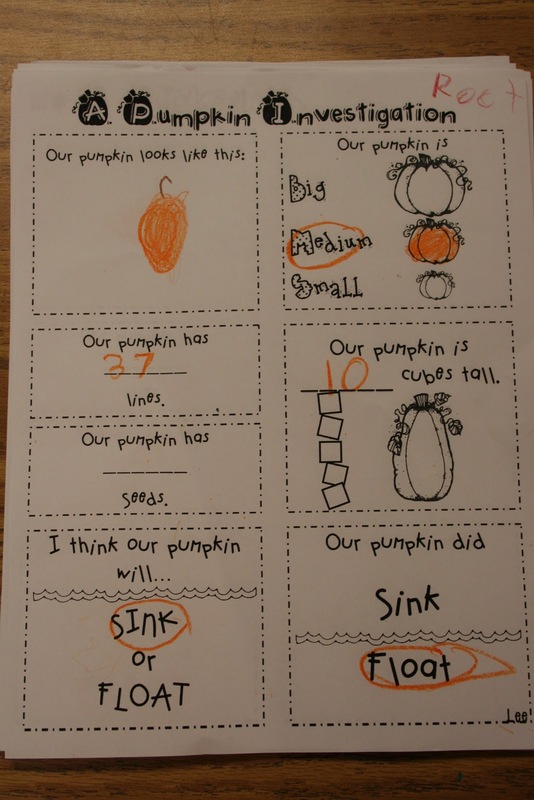 Click the picture below to check out more of her fun pumpkin ideas! 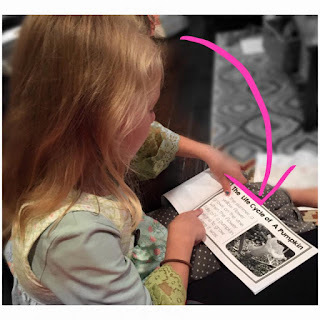 My daughter brought home this reader from Stephanie at Falling into First. So cute! 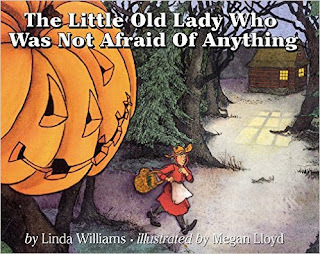 Click below to find this reader and other fun ideas! Click the picture to check out her post! Hopefully you can use some of these ideas in your own classroom!